The coal industry is in decline. Total coal consumption in the U.S. has fallen rapidly since the high point of 1,128 mm tons was reached in 2007. Last year coal demand fell to 919 mm tons – the lowest point since 1992. Residential demand is now negligible (down from over 50 mm tons in the 1940s). As the U.S. moves to other energy sources, the long-term role for coal faces serious headwinds. Natural gas is the primary culprit in coal’s recent struggles. The advent of horizontal wells combined with hydraulic fracturing has opened up vast shale deposits of inexpensive natural gas. Production and productivity improvements have been made not just in a select few regions, but in virtually all shale regions. The Marcellus region, an area located predominantly in western Pennsylvania, eastern Ohio and northern West Virginia, has witnessed the largest increase in production and now produces over 16 billion cubic feet per day. Marcellus production accounts for roughly 21 percent of total U.S. natural gas production – an incredible rise from 3 percent of total production just five years ago. Natural gas is not the only energy source gaining market share. Power generation from wind has had a surprisingly large impact on coal demand. Wind’s share of U.S. generation rose to 4.5 percent in the first quarter of 2015. If we assume wind turbines run at normal capacity factors of 31 percent, wind has the potential to displace as much as 87 mm tons of coal with over 45 mm tons of that coal originating from the Powder River Basin (PRB). PRB coal bears the brunt of wind displacement because the greatest wind capacity is in the West – a region where PRB coal dominates coal-fueled generation. Further eroding the long-term prospects for coal are 49.7 GWs of coal units that have announced their retirement by 2025. While the retiring capacity represents 15 percent of the 330 GW coal fleet, they only generate 11 percent of power because the units scheduled to retire tend to be older, smaller, less efficient units that are less likely to dispatch. In 2014, units that are set to retire by 2025 consumed 102 mm tons of coal, with roughly 43 percent of that coal sourced from the PRB and 16 percent originating from Western bituminous coal fields. While we expect surviving units to pick up roughly 15 percent of the load lost by retiring units, the bulk of replacement generation will come from natural gas-fired combined cycle units. Although coal capacity is shrinking, natural gas and wind generation capacity are poised to grow significantly. New natural gas projects are set to increase by up to 110 GWs by 2020. There are 146 GWs of net additional renewable capacity planned to be built between 2015 and 2020, compared to 46.3 GW of coal capacity expected to retire over the same time frame. Not all projects will be built, but the trend of power generation is clear: natural gas and renewables (primarily wind) are preparing to take significant market share from coal. Since 2000, the annual average electricity demand growth rate fell to only 0.7 percent. During that same time period, U.S population growth grew at an annual average rate of 0.9 percent. This indicates that power consumption has actually decreased on a per capita basis since 2000, despite the economy growing by 28 percent (in real dollars) over that time. Regulations continue to stiffen and raise the cost of mining and burning coal. Despite the recent Supreme Court ruling to block the Mercury and Air Toxics (MATS) rule and remand the case to the lower court for further proceedings, the regulatory environment for coal is stringent and becoming stricter. In August 2015, the EPA finalized the Clean Power Plan (CPP), a 2000-page rule which aims to reduce greenhouse gas emissions from power plants. To meet the ambitious goals in the CPP, the nation’s generation fuel mix will be further weaned away from coal and toward natural gas and renewables. Competition from natural gas and renewables combined with slowing power generation growth not only has eaten into coal’s market share, but it has created an enormous supply and demand imbalance. Excessive quantities of unneeded coal caused utility stockpiles to burgeon and prices to plummet. With utility coal demand expected to drop by roughly 100 mm tons this year compared to last year, utility stockpiles will almost certainly build as already-contracted coal has nowhere to go. Through the end of May 2015, utility stockpiles were at 175 mm tons which equates to 76 days of forward-looking burn, above the five-year historical average of 67 days of forward-looking burn for the same time frame. The large gap between coal supply and demand has had a direct impact on prices. When supply was tight in the spring of 2008, the price for NYMEX coal was over $120/ton and PRB 8800 coal was over $14/ton. Since then prices for NYMEX and PRB coal have dropped by over 65 percent and 30 percent, respectively. So what does this all mean for the future of coal? Although coal’s share of the power market has fallen significantly from over 50 percent last decade to 39 percent in 2014 and hit a monthly low of 30 percent in April 2015, coal will remain a vital component of the nation’s energy infrastructure and will provide a critical hedge against rising natural gas prices. The bulk of the decline in coal demand has likely already taken place, but there remains significant fallout (new bankruptcies, pending mine closures, more layoffs, etc.) from the demand destruction that occurred over the last several years. Significant production cuts will be needed before prices equilibrate to a sustainable level. With the decline in demand slowing, production will gradually fall in line with demand. Supply cuts will occur at mines that are no longer profitable as coal companies today simply do not have adequate capital to continue producing excess coal. Unfortunately, supply cuts have lagged far behind reduction in demand. In the past when coal companies were flush with cash, they could afford to keep high cost mines in production until demand rose. For the first time in at least half a century, however, the industry is experiencing a significant and steady drop in demand. The old solution of waiting for demand to catch up to excess supply does not apply in the current market situation. As a result, supply must be proactively cut before prices can attain sustainable levels. The expectation that a basin competitor may shut mines first, diminishing the need for further cuts. The reluctance to shut mines has resulted in prolonged pain for the industry as prices slumped to untenable levels. Until supply is brought into balance with demand, prices will languish. For the last several years, supply has significantly exceeded demand, leading to depressed prices and huge losses for coal companies. While bankruptcies present a hardship for all industry participants, the silver lining is that it will force more mines to shut production. As bankruptcies increase, mine closures will accelerate and supply will finally begin to fall in line with demand. The key for the industry will be how demand unfolds over the next two decades. If demand slowly declines, then we are likely to see a repeat of an oversupplied market of the last decade. Production cuts will lag declining demand and the result will be very low prices. If demand remains flat (or rises slightly), then coal prices should rise to healthy levels as supply and demand fall into balance. The next significant decline in demand is not likely to occur until the Clean Power Plan takes full effect in 2030. 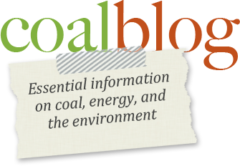 Initial model simulations indicate that coal demand may fall by 100 mm tons once the regulation is in full swing. Prior to 2030, coal’s market share should decline at a much slower pace as renewables and natural gas increase generating capacity. If natural gas prices rise, however, demand for coal will increase. Prices will likely eventually equilibrate to the surviving upper second quartile mining costs as the higher cost mines disappear. With coal increasingly on the margin, natural gas will set the ceiling for delivered coal prices to utilities in many regions. Annual price increases will likely correspond to mining cost inflation. Absent any exogenous market events, such as Australian floods, South American miner strikes or war, prices will unlikely reach the plateaus we witnessed as recently as 2008 when demand outstripped supply. Hans Daniels is Executive Vice President of Doyle Trading Consultants (www.doyletradingconsultants.com).